If you own a business in Charlotte NC it is critical that you find a local SEO specialist or Charlotte SEO consultant. You want to learn the benefits of SEO marketing services in growing your business. This means that if you own a business right here in Charlotte NC thousands of your potential customers may be online right now searching for the goods/services that you have to offer. Ideally you really want a Google local SEO expert. If their search engine optimization services don’t focus on local web marketing services, keep looking. The local SEO expert Charlotte NC small business trusts is Tim Parker, President of BlueManDigital.com. He offers affordable SEO marketing services to all businesses regardless of size. His search engine marketing services are truly a white hat SEO service that guarantees results. Tim is recognized as the Google local SEO expert for small business in Charlotte NC and surrounding cities. Some companies offering Charlotte search engine optimization services simply don’t do the proper research required for results. This ineffective approach utilizes old SEO techniques, keyword stuffing and other methods. This can actually get your site penalized. 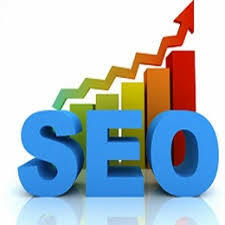 At BlueManDigital.com, our team uses the latest SEO techniques and in depth research to help our clients achieve online marketing success. Proper research is where so many SEO firms fall short. Without knowing the target audience and the proper keywords to use in an SEO campaign, it’s hard to get websites to rank higher. Before every SEO implementation our team does hours of tireless research. We want to ensure every online marketing campaign we design for our clients gets good results. You local SEO expert should know to be successful, every website must be optimized both on page and off page. On page SEO is the keywords that are used in a campaign and the formatting of the website’s content. Off page SEO involves links to your company’s website on other websites. Too often, small business owners in Charlotte implement on page SEO without doing any off page SEO. BlueManDigital.com takes care of both to make every SEO campaign a success. It is amazing to see what a difference our clients experience when on and off page SEO techniques are utilized. Many of our client’s websites have jumped from obscurity to the top spots on Google by utilizing our custom SEO services! Choosing the Charlotte SEO company to help with your online marketing is crucial to your continued growth and success. Making your company successful is our top priority. To get the best local SEO services for your Charlotte business, contact BlueManDigital.com. You already know how to run a successful business, now it is time to implement a successful SEO campaign to attract more customers and to increase sales for your Charlotte area small business! The SEO experts here at BlueManDigital.com look forward to working with you very soon! 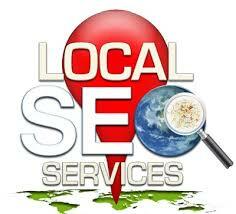 We offer affordable SEO services and the local SEO expert Charlotte NC small business knows gets results. Call us today 704-343-8700.